Guardian Settlement Agents has joined forced with one of New Jersey’s top website design and development firms – VisionLine Media of Haddon Heights – to help you create and maintain cutting-edge social media marketing programs. Under Guardian’s direction, VisionLine can create for you micro-site webpages containing property-specific blogs. These are written to attract and build search engine optimization rankings for you and your real estate practice as they help you appear at or near the top of searches conducted on Google and similar sites. 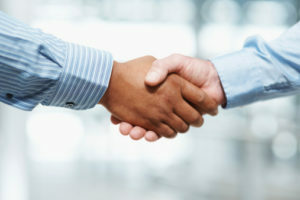 Also, you can let your clients know you are committed to offering them the best customer service available by placing a link on your website to the Guardian Settlement Agents’ www.e-titleagency.com site. In addition to showing them their transaction is in the hands of one of New Jersey’s top title insurance and closing agencies, the Guardian Settlement link and logo gives them one-click access to our exclusive iOrderExpress online system.